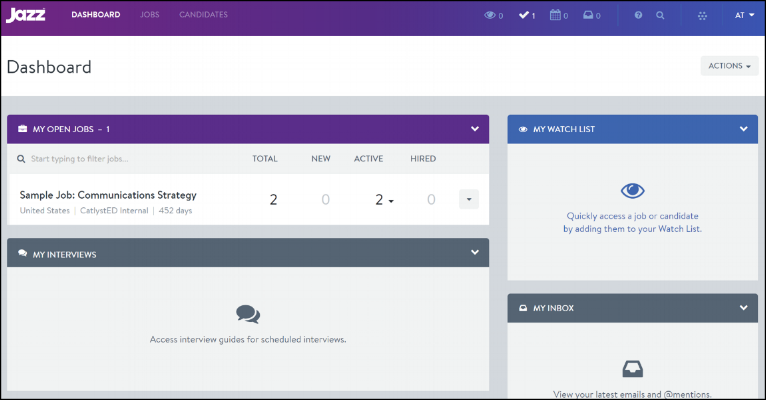 Catalyst:Ed provides a robust technology tool called Jazz, which allows our partners to review the profiles, resumes, and proposals submitted by all candidates that have applied to their open jobs. Below, we outline a few steps that allow our partners to understand and use this platform, easily and successfully. 5. To view an applicant's proposal submission, scroll down the 'Profile' tab to find the 'Job Application' section located below the resume. The project proposal, budget and other files can be found here.